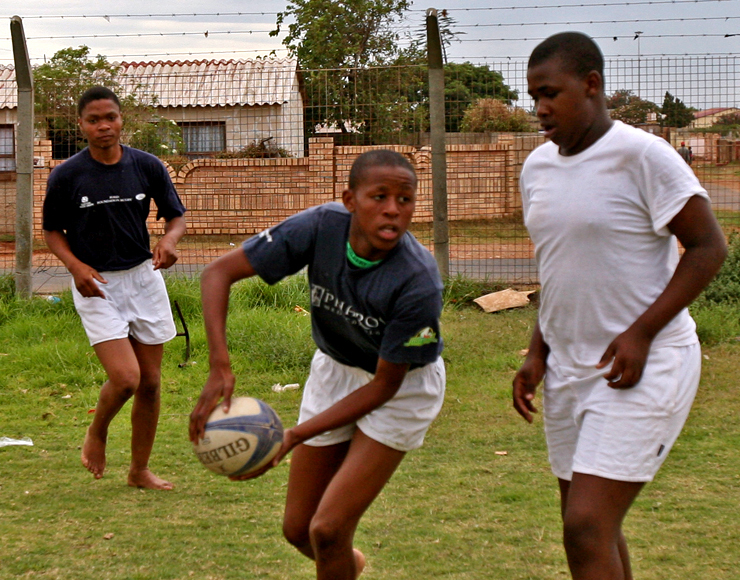 Our Rugby Coaching projects provide you with the opportunity to work with local townships and surrounding schools to develop and improve their Rugby players. 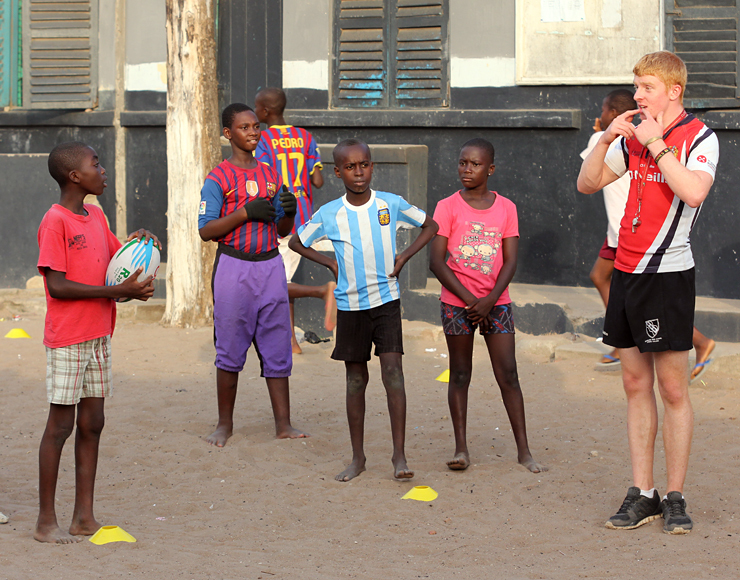 The project is designed to develop alongside you- we’ll start you out helping to organise training clinics, building up to matches for the younger players, keeping in line with the development of your confidence and skills, and budding relationships with players you will be coaching. 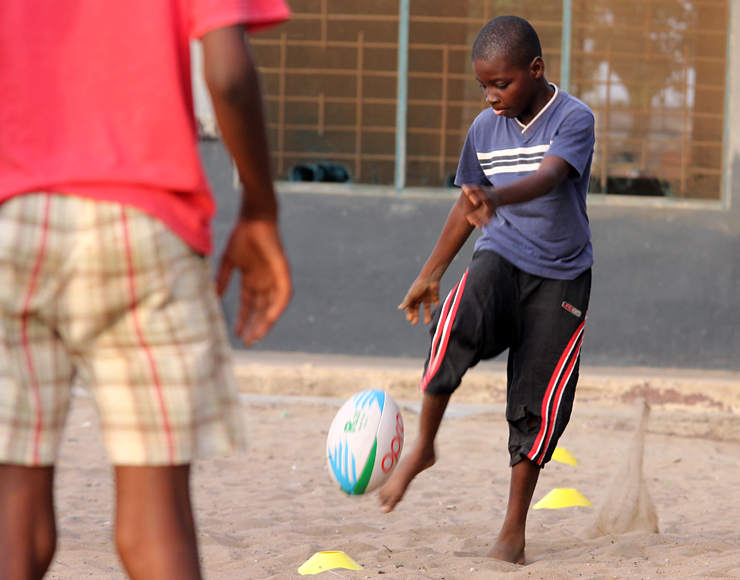 Once this stage is complete, you will plan and implement rugby tournaments throughout Ghana. These tournaments will feature not only matches, but also important team-building activities to increase the sense of community amongst all players. 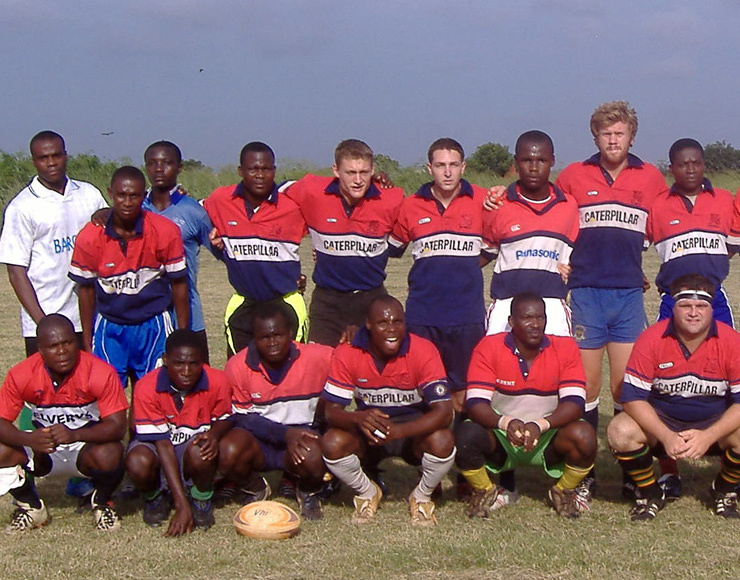 Another key role you will play as a rugby coach in Ghana will be to actively scout for players with talents which may help propel them into the professional game. We have close relationships with several sports academies that are eager for your insights and help in identifying these potential future stars. 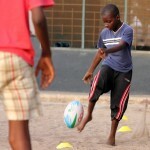 The project is based in two areas: the Accra Rugby Club (ARC) and its surrounding schools. 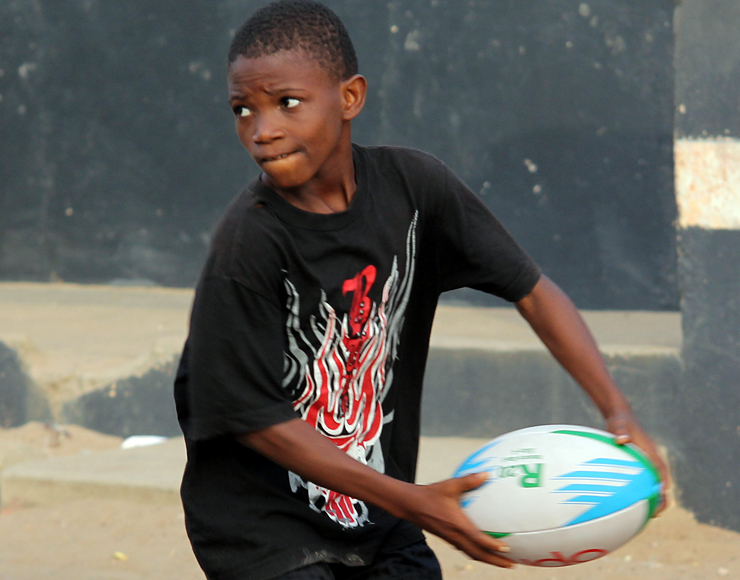 Whilst its popularity is growing, many Ghanaian school children are unaware of rugby. Fortunately, they are always more than keen to try new sports, especially when offered training and a structured environment in which to improve. 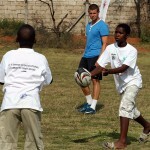 Part of your role whilst coaching abroad is to identify those with the enthusiasm and drive to play rugby, and to refer them to ARC. 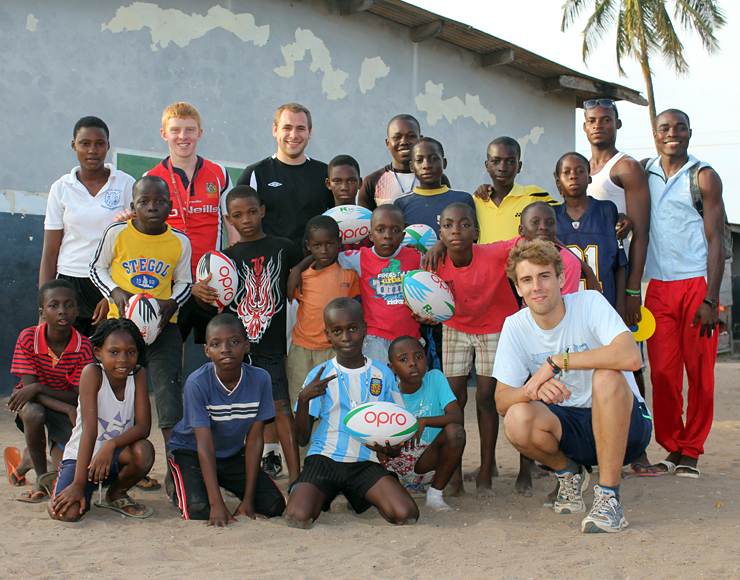 In addition to coaching, volunteers will have the chance to play alongside senior players at ARC- this is an important and unique opportunity to build cultural friendships and experience West African rugby culture first-hand. 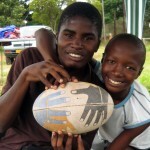 You won’t be alone whilst working in Ghana- we have an in-country team as well as volunteers and local sports coaches, all of whom are happy to point you in the right direction and offer advice on how to structure events and training sessions. However, you will be encouraged to come up with your own methods and techniques so as to develop your own training ‘flair’. 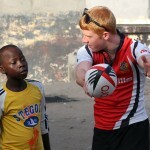 In the beginning you will be working in schools with students in the 12-16 year old age range. This work will take place largely during PE sessions, but volunteers are encouraged to start additional afterschool clubs for the enthusiastic players. 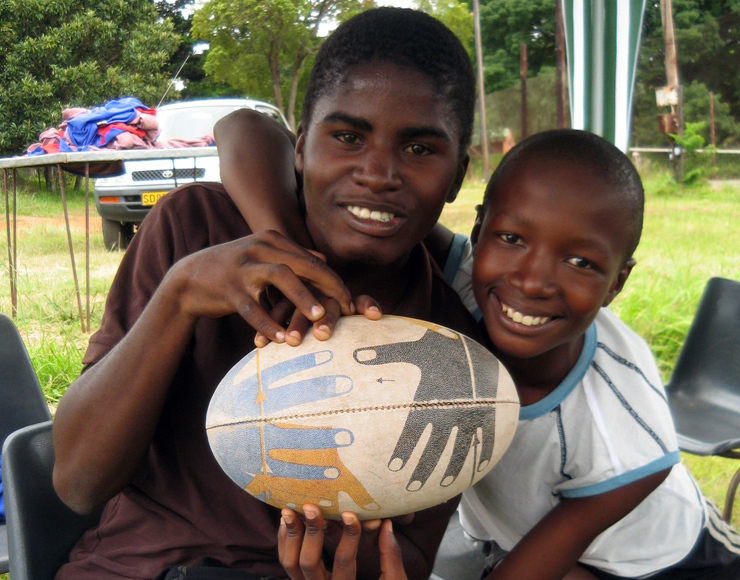 It is imperative that you have a strong understanding of rugby, in both how it is played and the rules themselves. 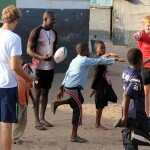 Many of the children will never have seen rugby been played before, and will therefore need clear instruction. Once you are established at the schools, your second role will come into effect- whilst working at the schools- you will be asked to scout the more promising players and work with them to hone in on their skills. 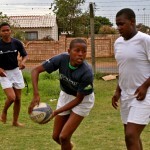 These promising players will then be introduced to the ARC and the competitive side of the game. 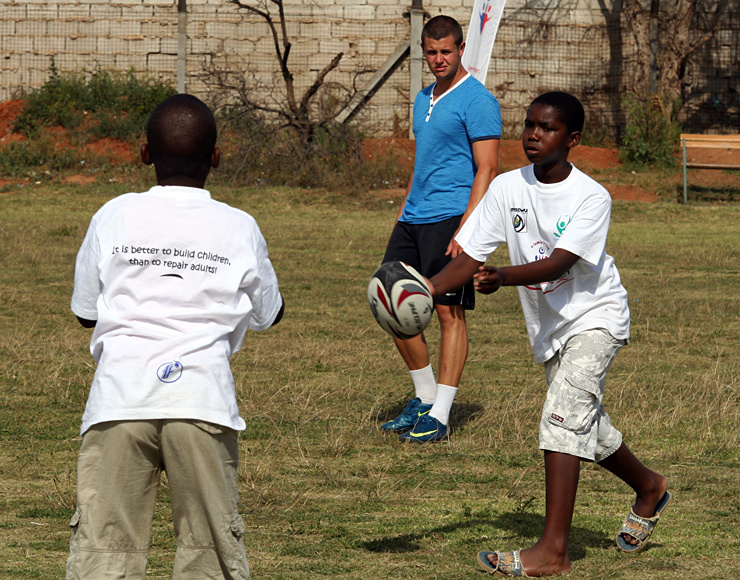 Working at the ARC, your focus will be more on the technical aspects of the game, such as scrimmaging, mauling and kicking. 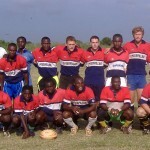 There may also be the opportunity to play for the ARC senior team, dependant on the time of year. 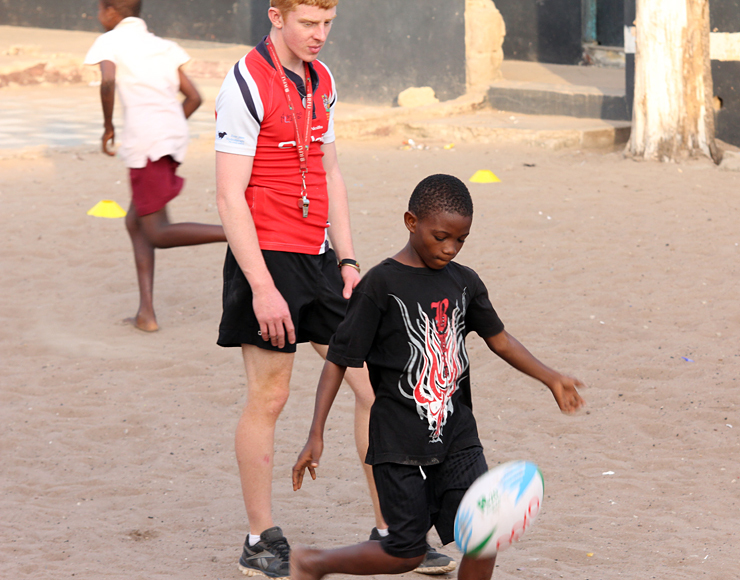 As well as coaching players, there will be the opportunity for teaching abroad in classes at the sports academies and schools in Accra. 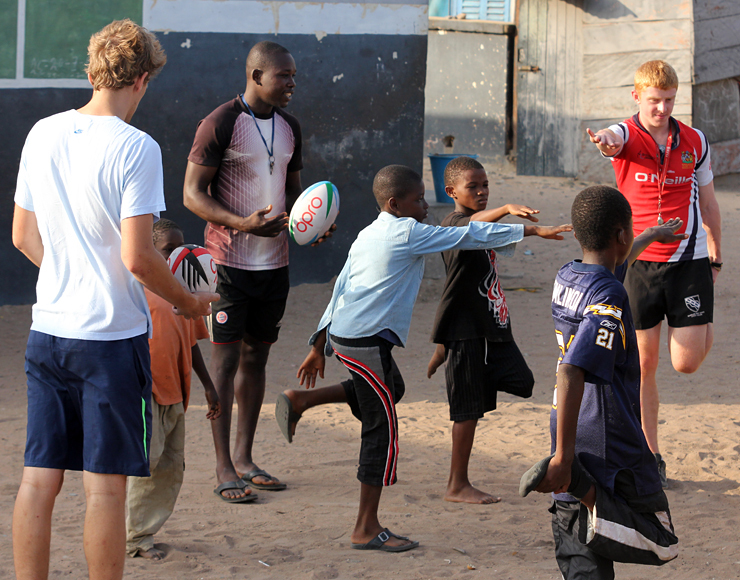 This will be your opportunity to make a difference outside the world of sport- with your schooling background, you have the means to make a massive contribution to students’ education, whether that is in English, Maths, Science, Journalism, Business, IT or more. 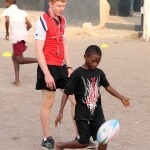 In your free time whilst coaching abroad, you’ll want to make the most of the sights and experiences Ghana has to offer. Full of breath-taking sights and welcoming locals, Accra is full of amazing places to visit, with its bars and restaurants providing authentic African live dancing and music. For times when you’re missing the familiarity of home, there are a number of western-style pubs and clubs that give you the flavour of the UK that you’ve been craving. And if you fancy a break from rugby, a trip to the National Stadium to watch a football game is well worth your time. 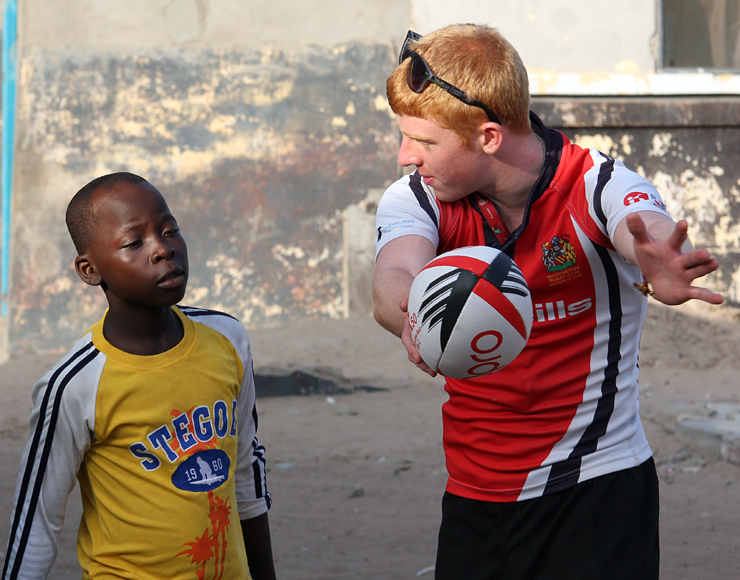 Make a difference to the lives of Ghana’s promising young sports enthusiasts and coach rugby abroad today! 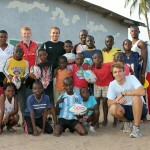 Your Rugby coaching project is based in Accra in Ghana. 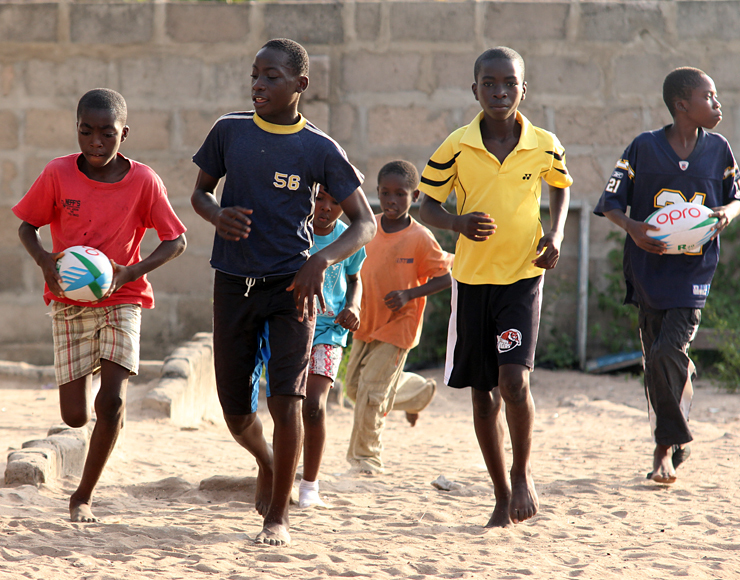 Since gaining independence from Britain in 1957, Ghana has fast become known for its peacefulness, political stability and perhaps Africa’s friendliest people. Ghana offers an abundance of traveller hotspots, including the rainforests of Cape Coast, the almighty Lake Volta and the elephant watering-holes of Mole National Park. 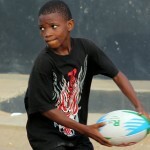 Ghanaians also share a love for sport that surpasses most other nations. “I had an absolutely amazing time! couldn’t have enjoyed it any more! already wishing I chose to do it longer and am hopefully going to do it again next year! and yes it is a shock! Wish I was still there! I really managed to get out with everyone and see Ghana as well which was great, and also managed to get involved in teaching and going to the orphanage too.